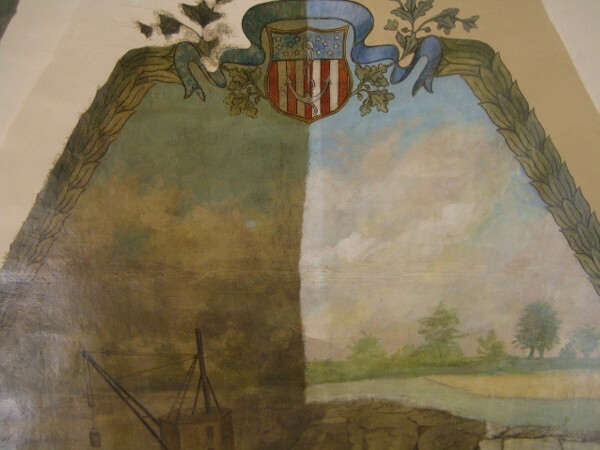 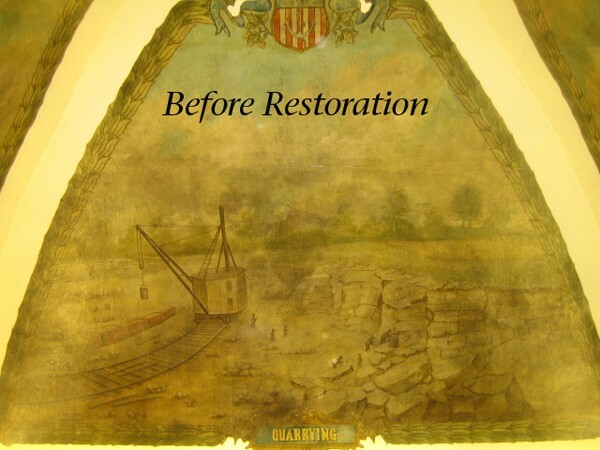 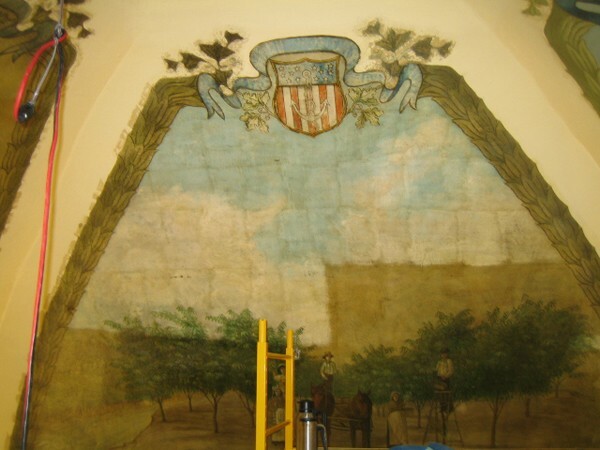 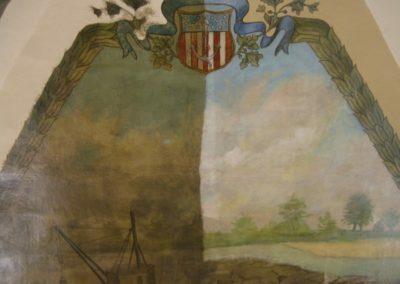 To restore the century-old discolored murals in the rotunda of the Ottawa County Courthouse in Port Clinton, Ohio, to their original vibrancy. 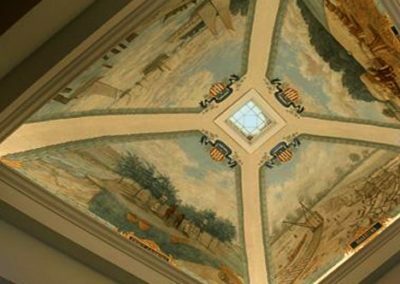 The Ottawa County Courthouse rotunda ceiling is home to four murals originally painted by William Smith in 1908. 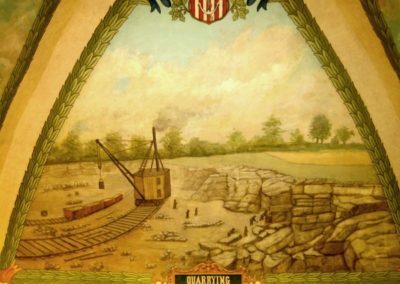 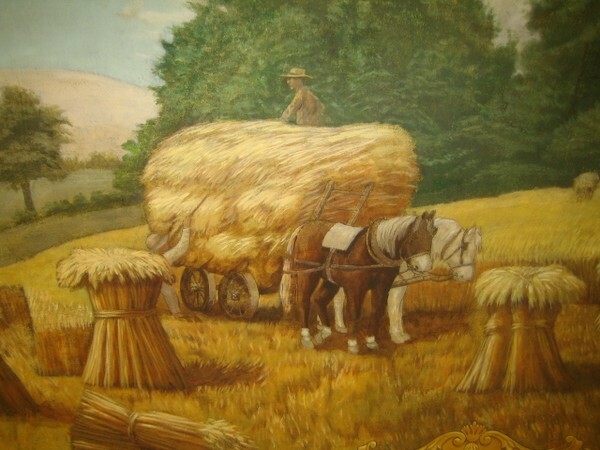 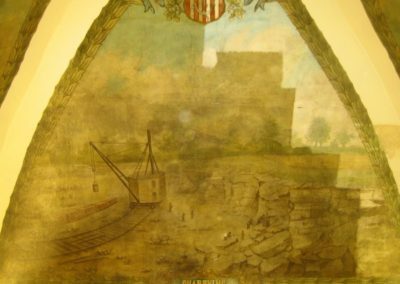 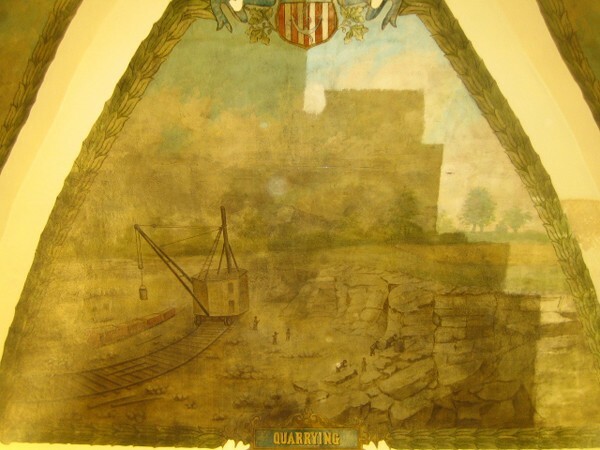 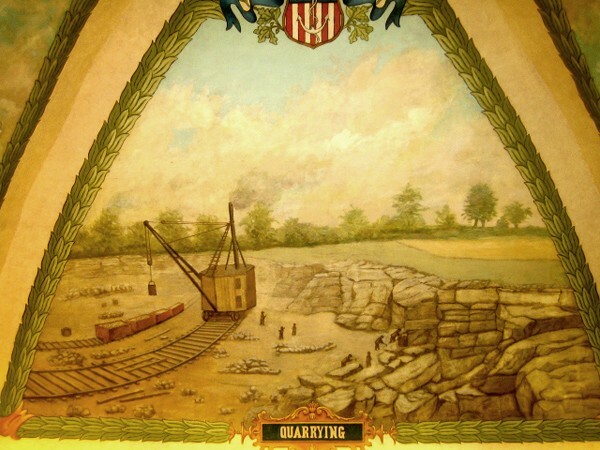 The murals represent the four historically important industries in the region, that being Farming, Fishing, Fruit Growing and Quarrying. After a century of exposure to the natural effects of the environment, the color and intensity were lost under layers of discolored varnish and coal dust. 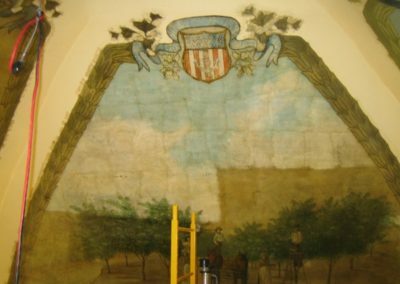 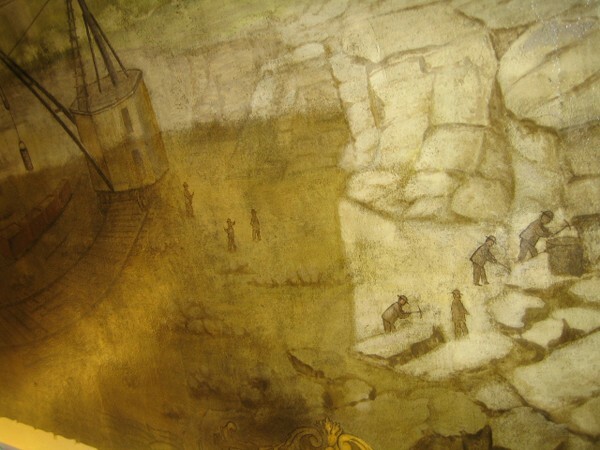 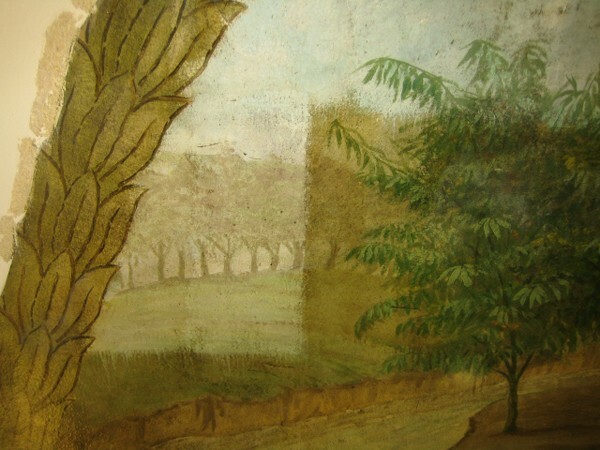 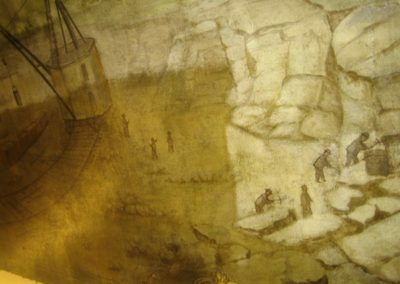 In 2008, Conrad Schmitt Studios restored the murals by removing the varnish, revealing the original oil paint, and then retouching as needed with conservators paints. 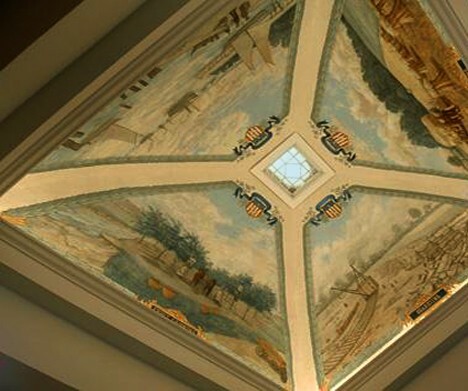 The murals once again preside over the Courthouse rotunda with the aesthetic quality in which they were originally created.